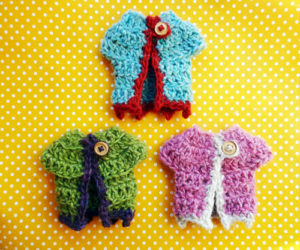 How to alter the sizes of my crochet patterns to fit kids and pre-teens. Tutorial: how to crochet a seamless top-down (mini) sweater. 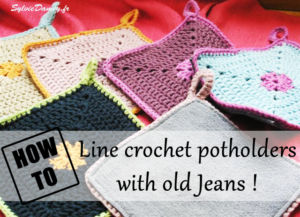 Tutorial – How to line crochet potholders with old jeans.